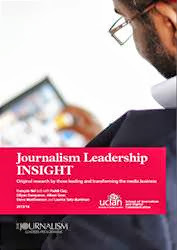 Are you thinking about innovative ways to engage with news communities? Then participate in the next Digital Editors Network meeting on November 19th at BBC Broadcasting House, where the discussions will focus on how digital publishers are trying to reach new audiences – on a local, national and global scale. The term itself is quite complex and includes all sorts of audience sub-groups, defined by gender, age, economic status, race or origin. Yet the mobile and social revolution has unquestionably opened opportunities for news sector growth, provided audience acquisition is approached correctly.